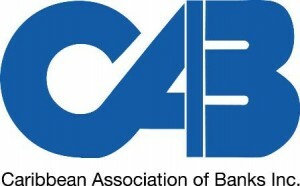 CASTRIES, St Lucia -- The release of the “Action Plan for Fair and Efficient Corporate Taxation in the EU” by the European Commission on June 17, 2015, which included 15 Caribbean countries in a “blacklist” of non-cooperative jurisdictions, has caused the Caribbean Association of Banks (CAB) grave concern. Notwithstanding that the European Union has now clarified that the final decision regarding which countries should be on the list has not been made, it is considered that the timing of this publication and its general perception as a new “blacklist” could have far-reaching effects on the Caribbean’s financial services sector. Indigenous banks in the region are currently being challenged with the threat of loss of correspondent banking relationships that are provided by international banks. An additional “blacklist”, based on unclear criteria, may serve to exacerbate the perception of the region as a high risk area and, consequently, negatively impact the risk rating profile of financial institutions by correspondent banks. The financial services industry cannot survive without correspondent banking relationships and as a result, neither can regional economies. The CAB said it was pleased to note the response of the Organisation for Economic Co-operation and Development (OECD) and the Global Forum on Transparency and Exchange of Information for Tax Purposes which confirmed that “the only agreeable assessment of countries as regards their cooperation is made by the Global Forum and that a number of countries identified in the EU exercise are either fully or largely compliant and have committed to AEOI (automatic exchange of information), sometimes even as early adopters”. It is noteworthy that the eight Caribbean Community (CARICOM) countries and five associated members that are named in the EU’s report are all included in the OECD’s list of members that have committed to automatic exchange of information. The CAB therefore called upon the EU to carefully review the criteria used by its member states to assess and determine the countries that are non-compliant in tax matters. Additionally, the CAB strongly recommended greater collaboration between the EU, the OECD and the Global Forum on Transparency and Exchange of Information for Tax Purposes before “blacklist” reports are issued. The CAB also urged regional governments to act together to ensure that the region is represented in such key decision-making processes that can impact the growth and development of regional economies.